Over on IGN, Ryan McCaffrey hosts a show called Unfiltered, where he interviews developers about all sorts of things, without, as you guessed, too much of a filter, The most recent episode featured Davik Brevik, co-creator of Diablo, and he gave an interesting answer on why you’ll probably never see Diablo 2 on PC as you remember it. 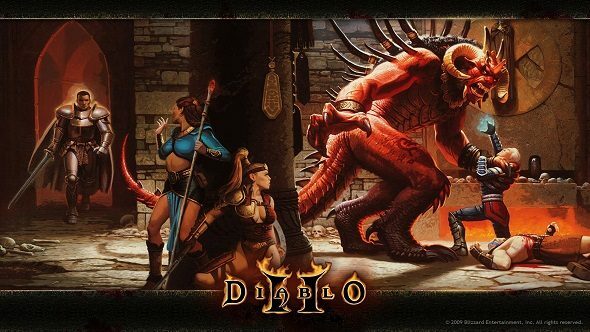 Diablo 2 is on our list of the best classic games PC has ever seen, here’s the rest of the gems from PC gaming history. The reason for this is that, like all games, Diablo 2 uses tricks to get things working. In this case, the game relies heavily on being played in the typical resolution of the time, 800×600. When the game is working out enemy AI and aggro, it relies upon a rough radius that fits the screen – once an enemy comes on-screen, they’ll start to do the things they’re supposed to, but when they’re not, they apparently don’t do much of anything. Either a solution would have to be found to force a 800×600 sized screen for the game, or the game would, in this way, be fundamentally different. Similarly, Brevik points out Diablo 2’s stamina bar, which was largely useless. It raises the question of should it be removed in a modern Diablo 2 release? If so, what else should be removed? What should stay? It sounds like, as much as you want it, Diablo 2 on your modern PC is unlikely, unless you want to change it up and get into a Ship of Theseus-style philosophical debate.